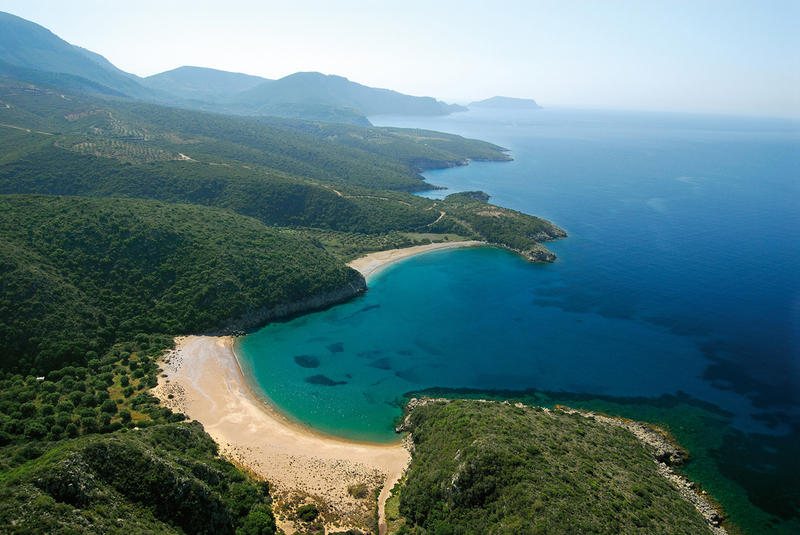 Welcome to Messinia, the southwest end of Peloponnese is a region of magic and beauty. With outstanding archaeological sites, stadiums and theatres, fortresses and castles, churches and monasteries, overwhelming landscapes with forests, lakes, rivers, caves, gorges and wonderful sandy beaches, is a destination not to be missed but well worth exploring. Visit the numerous archaeological sights some of which being the Ancient city of Messini with its solid fortification system well maintained till date, the castles of Methoni and Koroni, and tour around the traditional villages of Pylos, Kardamili or Kiparissia situated at the mainland as well as its coast. 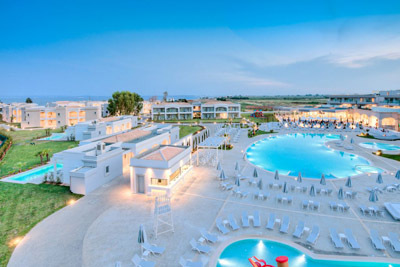 In the area some of the most profound luxury hotels of the country are situated at spots of magnificent natural beauty, to offer high quality services along with excellent conference facilities. The natural beauty of the region and the diversity of the landscape offer a number of outdoor activities in the country side as well as the coast. 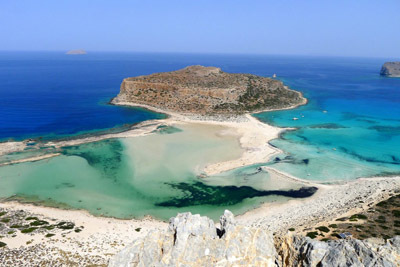 Currently the prefecture of Messinia is a destination for all forms of tourism; agro tourism, religious tourism, sports tourism, cultural tourism and environmental tourism, thermalism tourism, golf tourism with a variety of areas to admire and explore as part of one’s summer or winter holidays. Suitable for relaxing, as well as educational, historical and cultural holidays, Messinia satisfies each and every visitor, bringing past and present together in a seamlessly simple way. Messinia and its capital city Kalamata can be accessed by air or road. Kalamata house the sole airport of Peloponnese connected with the city of Athens as well as some other destinations in Greece, Russia and the UK. 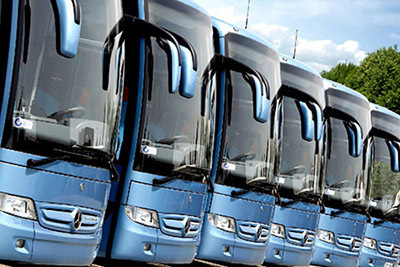 Regular bus services connect the capital city and the villages of the prefecture with Athens and Thessaloniki. 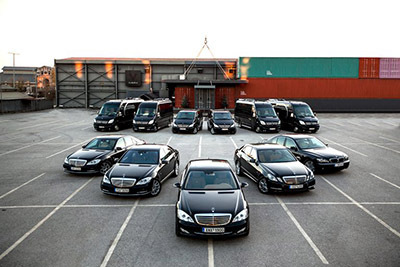 However the most convenient way to explore the area is by renting a car in order to reach the remote and picturesque villages and discover at one’s own pace the magic natural beauties of its mountains and coast. 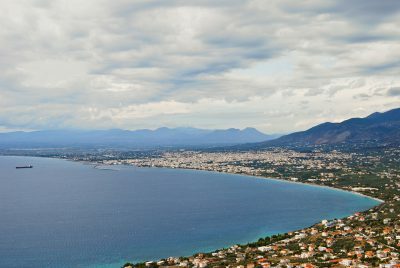 The capital town of Messinia is Kalamata, with historical significance while having excellent infrastructure and local facilities. The town is overlooked by a 13th century castle offering wonderful views towards the sea and sandy beaches, as well as the green flourishing plains. 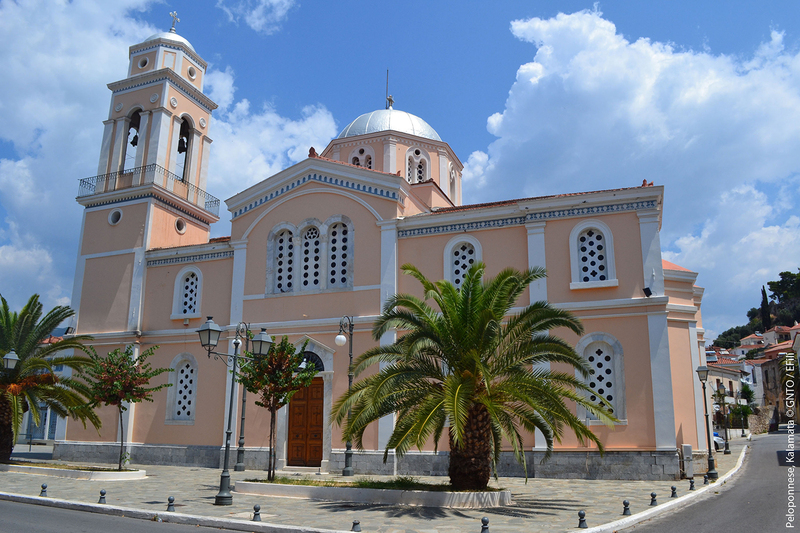 Visitors of Kalamata while having a walk around can visit the famous Byzantine church of the Virgin Ypapanti, well known for the nuns weaving the famous Kalamata silk, along with some other churches and monasteries at the surrounding areas. Kalamata is also a town of archaeological interest housing an archaeological and folklore museum, along with a library hosting over 60,000 volumes of work. Several cultural events and festivals take place at the town throughout the year, a nice way to experience the past and the present side of the region. 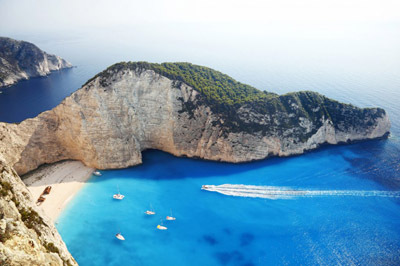 Pylos, a tranquil town with long history, wonderful views, some of the most luxurious hotels and resorts around the country with excellent hospitality and congress facilities, is definitely a must visit destination in Messinia. 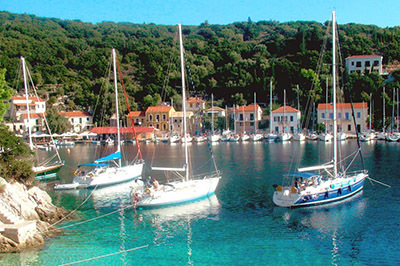 Situated in Navarino Bay, where the famous Battle of Navarino in 1827 took place, looking out to the Isle of Sfaktiria, is a great spot for a harbourside stopover at some of the traditional taverns or cafes, right next to 19the century beautiful mansions. The main square of Pylos, overlooking the harbor, with cannons and arched buildings is where the heart of the town beats. Right off the main road leading to Methoni is the Turkish and Venetian Neo Kastro, a vast place set in beautiful grounds, recently restored to include a small museum to exhibit some beautiful prints and lithographs and some fully costumed heroes of the 1821 Independence War. 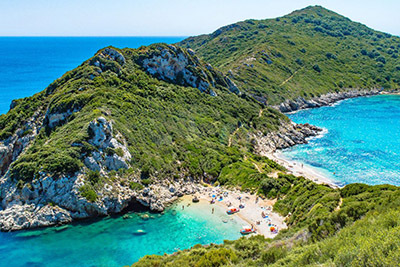 To complete the picture of this unique town of Messinia, just a few kilometers away, right at the end of the coast is the widely known sandy beach of Voidokilia with an elliptical shape of striking beauty reaching a dune landscape, as well as Romanos beach. Overlooking the Dunes Beach is one of the greatest examples of high standard Greek hospitality, Costa Navarino with the Romanos Luxury Collection Resort and the Westin Resort, features extensive grounds with indigenous trees and plants, high end sports facilities such as one of the largest golf course around Greece, infinity pools, children’s areas, spas and a multi-functional and highly versatile conference, convention and event centre is the ideal destination for luxury holidays. 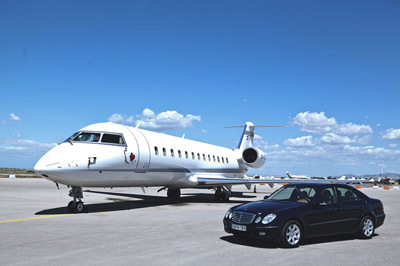 Accessed by air landing on the airport of Kalamata, by sea though the port of Patras to connect Peloponnese with Italy, the port of Kalamata suitable for accommodating large cruise ships sailing across the Mediterranean or the harbour of Pylos for private sailing yachts and by road being 280km from Athens and 50km from Kalamata, Costa Navarino is a luxury easy to reach. Situated within the world-class 130-hectare Navarino Dunes, set amid lush olive groves and crystal clear waters to offer magnificent views of the Ionian Sea, laying in grounds shaped by 4.500 years of history, Consta Navarino is the new prime destination across the Mediterranean. The Romanos Collection hosting 321 exceptional rooms overlooking the sea, with extensive grounds with indigenous trees and plants, landscaped gardens and infinity pools, spacious terraces, marble exteriors together with contemporary and refined interiors, the Romanos features, a perfect location to enjoy unrivalled relaxation along with the authenticity of the surrounding environment. 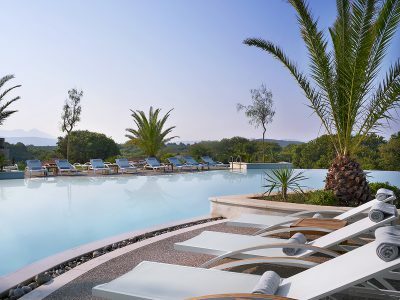 The Westin Resort inspired by old Messinian mansions, accommodates 445 villa clusters, 123 of which with private pools, using natural stone and local design elements to create a motif in perfect harmony with pure natural environment still very well preserved through the ages. Costa Navarino boasts for its high standard sports and recreation facilities, such as the 18-hole golf course offering spectacular sea and hillside views. The Dunes Club House hosts a stand-alone golf academy, pro shop, restaurant and bar facilities all of which extend on to a spacious terrace, while the “Cocoon” care centre and “SandCastle”, emphasize the commitment to develop an environment of creative learning and fun for young children. 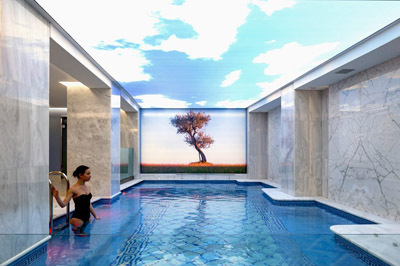 The resort also incorporates a 4,000 m2 “Anazoe” Spa and Thalassotherapy Center for body and mind rejuvenation, using Ancient Greek practices, including Oleotherapy featuring unique therapeutic olive-oil treatments. Special dining venues provide the perfect opportunity for a unique epicurean taste offering Italian, Moroccan or Greek restaurants.Finally the “House of Events” is a 5,000 m2 conference, convention and event centre to accommodate up to 2,000 guests, suitable for congresses, weddings, exhibitions or social events organized with both style and grace. Overall Costa Navarino located at one of the most unspoiled and breathtaking seaside landscapes of Messinia is the ideal destination to enjoy unrivalled relaxation and experience the authenticity of the surrounding environment. 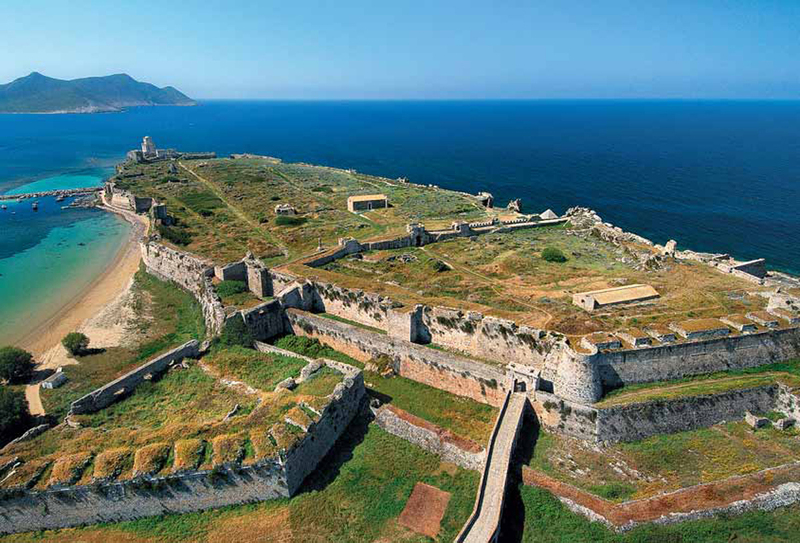 The countless options for small excursion within the prefecture of Messinia make the area perfect for relaxation, along with a touch of history. Finikounda is a seaside resort village ideal for yachting as a small harbor is a place for resting fishing and sailing boats. Known for its wonderful beaches and the tourist development of the area gradually growing, Finikounda is a place for fun and relaxation. 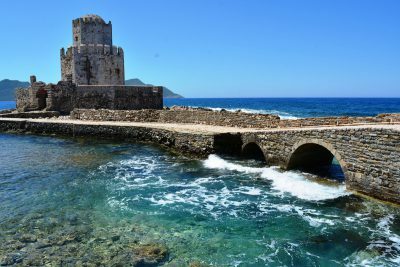 Kiparissia is another coastal resort of great natural beauty with cobblestone streets and a pine-covered hilltop right above the little town to host a small Byzantine Castle. A picturesque by the sea village and right beside the Virou gorge is Kardamili offering a trip back in time having stone built houses, a medieval castle with five impressive towers, the tombs of Dioskouri, one of the oldest churches in Greece dating back from the 6th century, while having a lovely view of the islet of Metopi with the chapel of St. Nicolas. 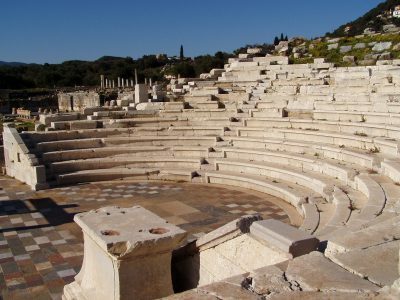 Ancient Messini is an immense archaeological site almost intact in time, founded by Epaminondas in 369 B.C., right after his victory over Spartans, as the capital city of the independent state of Messinian and flourished during the Macedonian and Roman years. The city was protected by an excellent fortification system consisting of a 9km long thick wall with four massive gates with two-storey watchtowers and battlements, along with an Acropolis. The stones used to make the surrounding walls of the city are not only surprisingly bulky but also so tightly arranged to make Ancient Messini considered as one of the finest examples of military architecture of the 4th century BC, also explaining how the whole defensive system is so well maintained. Within the premises of the ancient city lies the Temple of Asklipios and its Conservatoire as a place of rhetorical demonstrations and assemblies, the Temple of Artemis, the Sanctuary of Zeus where the is statue as a child was found, a couple of theatres and a stadium, all wait for you to visit and admire the long history of the area. The historical castles of Koroni and Methoni facing the east and the west side of the Messenian cape, share a similar history. Initially used as fortresses by the Byzantines, the two castles went under the occupancy of Venetians and Turks till their liberation by a French general. The caste of Koroni nowadays houses the Byzantine Temple of St Sofia, St Charalabos and Eleistria, while the castle of Methoni is a house for remains of a Byzantine Temple, Turkish baths and residence ruins, the Temple of Metamorphosis of Savior, as well as reservoirs and relic of cemetery of British captives during the World War II. 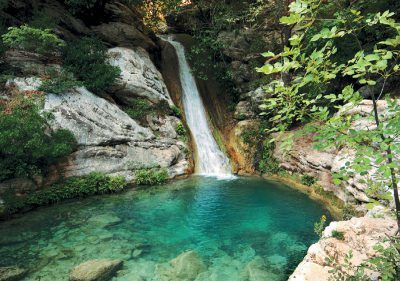 Messinia, blessed with natural beauty, forests, mountains, rivers, lakes and caves, provide endless opportunities for outdoor activities. Hiking, cycling, mountain and rock climbing, canoeing and kayaking, caving, bird watching as well as windsurfing, sailing, yachting and diving, even jeep safari and a huge golfing course, can all be found in Messinia. Close to the village of Gargaliani lie the sulphurous springs of Vromoneri, ideal for healing the thermalism tourism. Mervelous beaches surround the prefecture some of which being Petrohori, Kalamitsi, Gialova, Aghia Triada, Petalidi, Gargaliani etc. 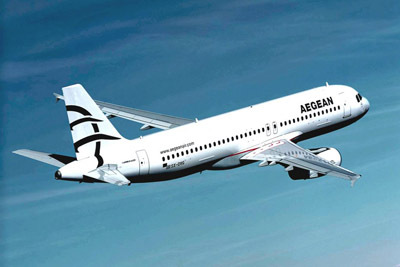 as some of the most distinctive destinations for summer holidays. Finally, discover the olive roads of Messinia through organized trips during the period of harvesting in order to get an insight on the collection and processing methods of olives along with the production of oil at traditional stone mills and discover how olive oil soap is produced. 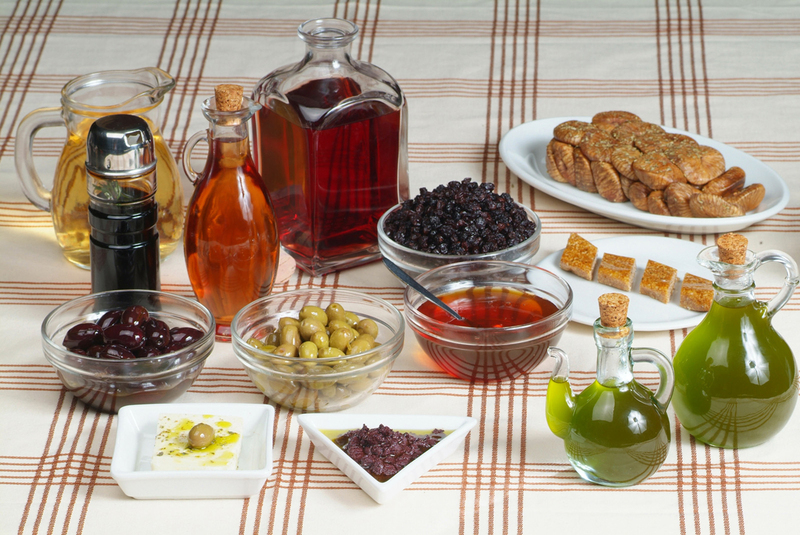 Messinia with its excellent soil, the mild climate along with the tradition of cultivation going back in centuries, is the birthplace of some of the most exquisite national products. The local variety of Kalamatan olives still harvested with old methods is a national protected product of designation origin, thoroughly exported worldwide. The Messinian vineyards cultivated for hundreds of years produce grapes not only as part of the winemaking process followed for millennia to produce fruity wines with strong aroma and colour, but also for the production of vinegar and raisins. 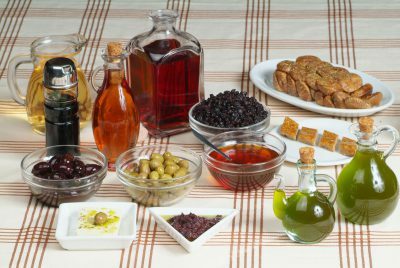 The area is also well known for its fig production which can be found ether fresh to be eaten as fruits or dried as a healthy snack, likewise pasteli, a bar made of locally produced honey and sesame, considered as superior to others around the country. Additionally, in coastal areas fresh fruits and vegetables are grown, such as tomatoes, potatoes, peas, cucumbers, squash, melons, aubergines, peppers and watermelons. Last but not least, traditional diary and bakery products, fresh herbs as well as fruit spoon sweets are well available to local taverns and shops waiting for you to taste them.